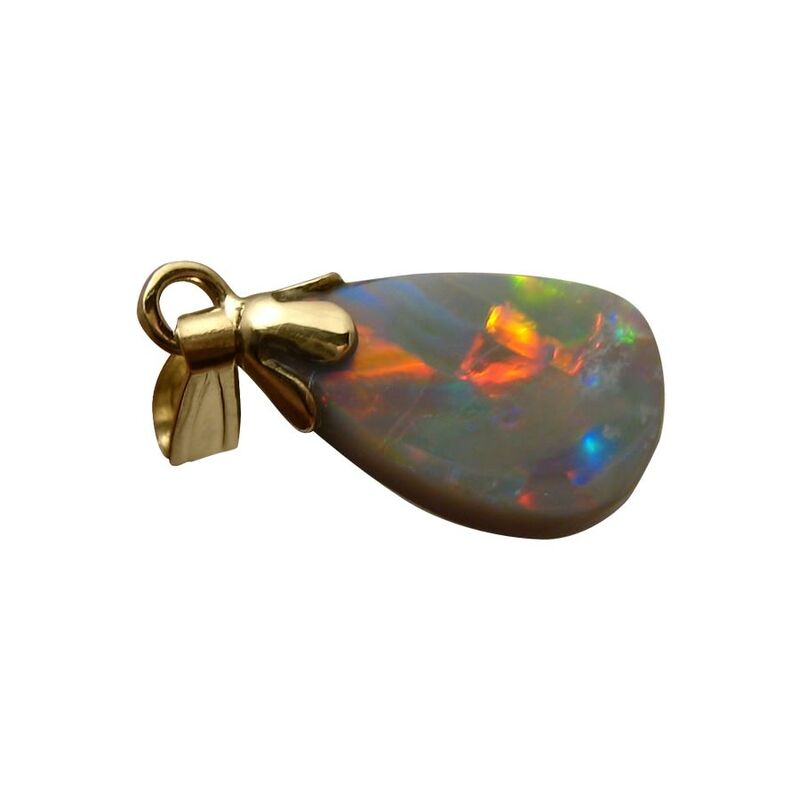 A semi Black Opal pendant showing Red and Blue in a fabulous play of color set in 14k Yellow Gold. In stock and ready to ship. 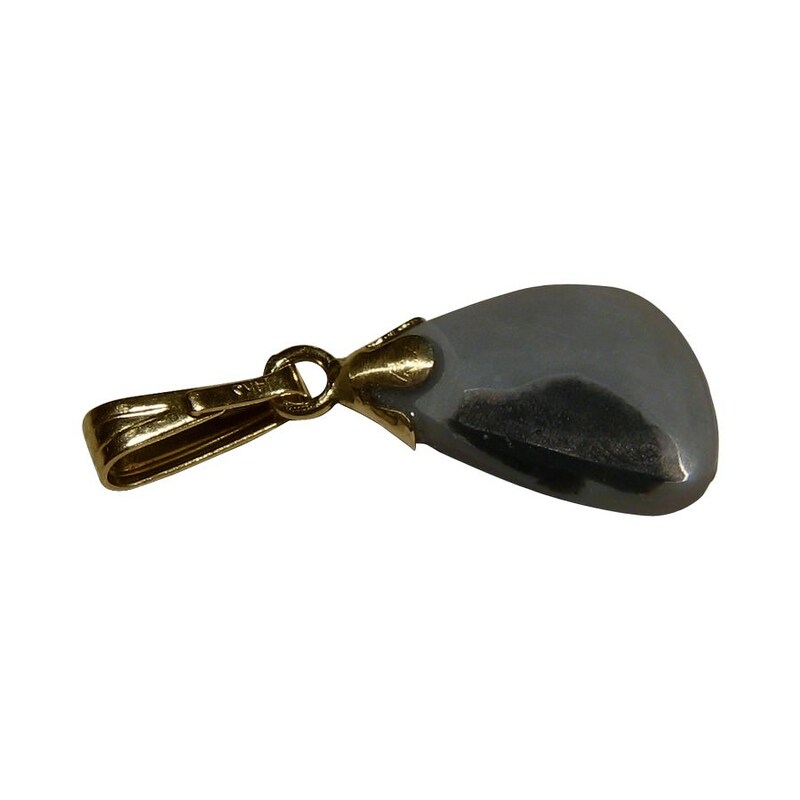 A simple Opal pendant with a Lightning Ridge Semi Black Opal in a free form shape to maximize the display of color and pattern. 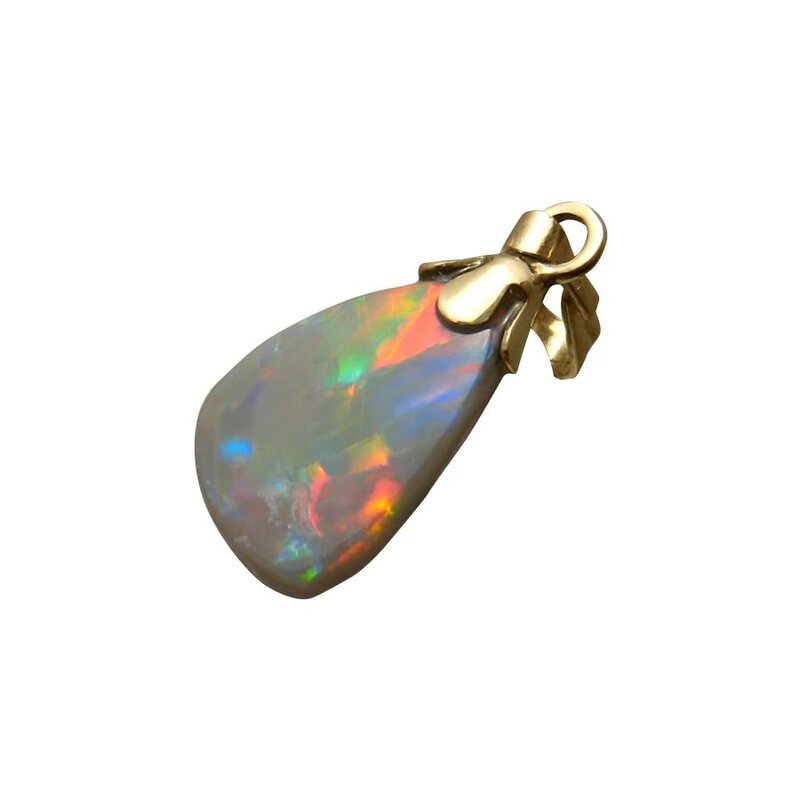 The Opal weighs 2 carats and is set with a 14k Yellow Gold bell cap and bale with the pendant measuring almost one inch long. Red and Blue flashes on the Opal in a Harlequin play of color which is best viewed in the video below. 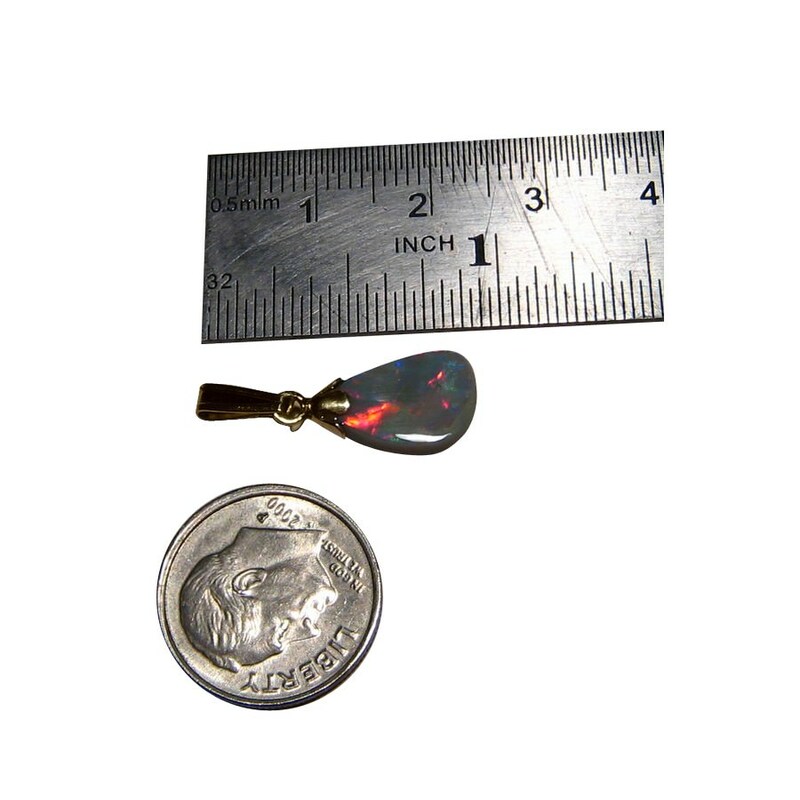 A simple Opal pendant with a fantastic display that is ready to ship now but does not include a chain.